It’s new, hip & happening! 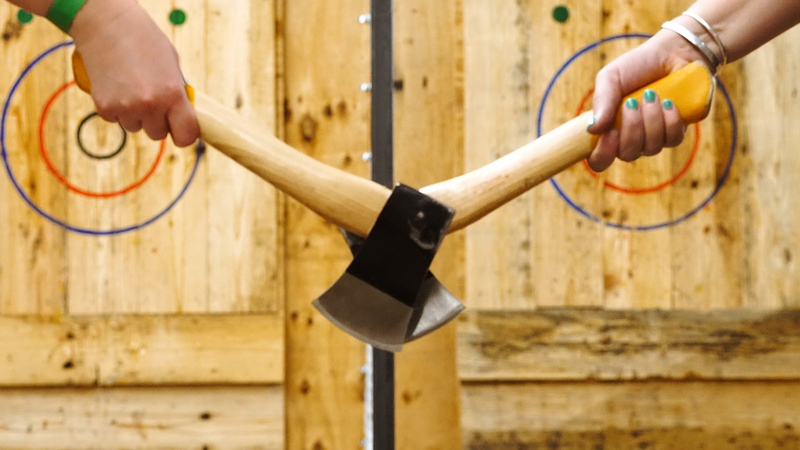 Axe Throwing is one of the most exciting and social activities you’ll ever do. And we have plenty of experience with many events. 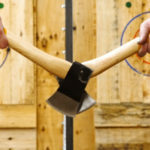 You will be throwing axes with your friends and/or colleagues, hitting the bullseye and laughing with your friends. 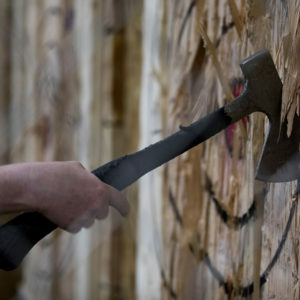 It is just like playing darts, but with awesome axes! Everybody can play from a minimum age of 18 years. 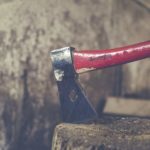 How to throw the Axe? 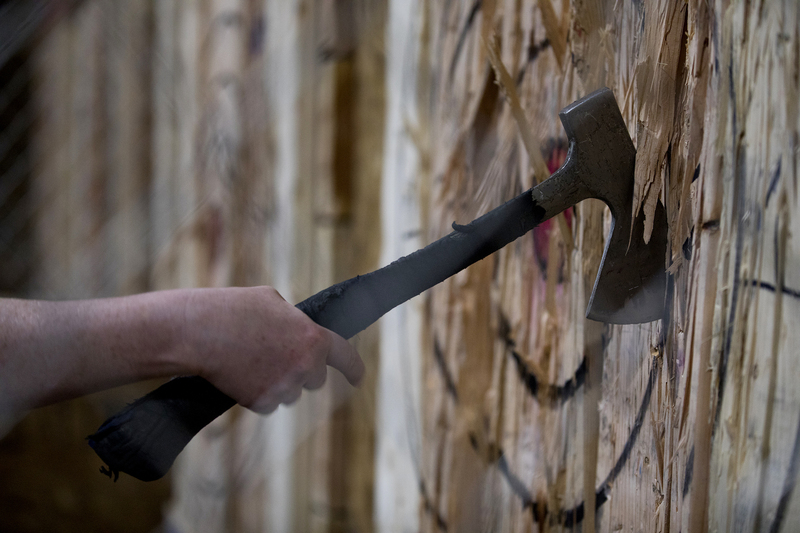 The experienced axe throwing coaches will get you throwing like a real Viking in no time. 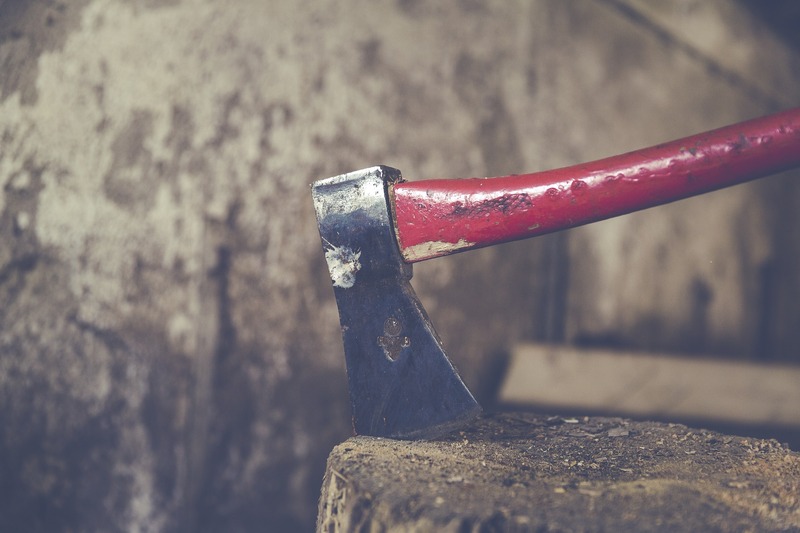 After you’ve got the hang of it we will start a tournament and you or one of your friends will be crowned King or Queen of Axe Throwing. 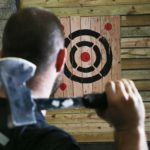 The sport is really safe and the instructors will tell you all the rules. 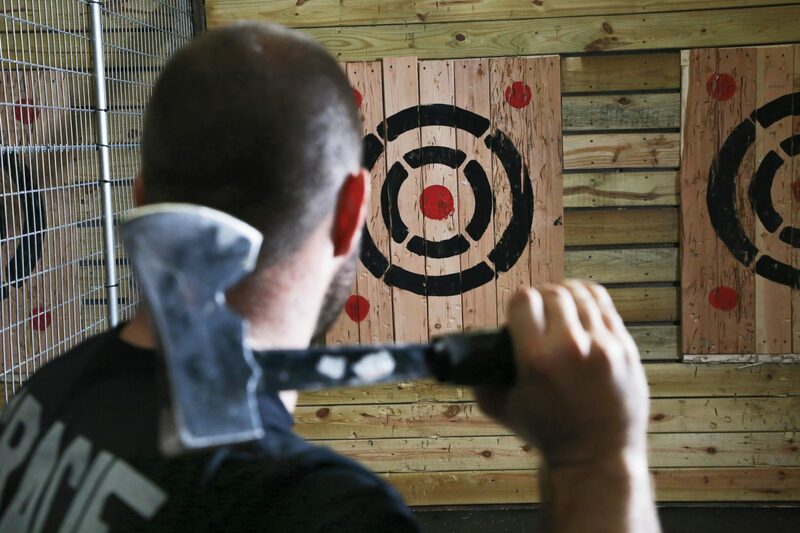 We have 6 Axe Throwing lanes and on every lane you can throw with a maximum of 6 people. So team up your friends or colleagues and challenge them for an unforgettable tournament! Excited to make a reservation?